KEF is a leading loudspeaker manufacturer collecting top-rated global reviews. KEF's philosophy for high fidelity sound reproduction is based on generating dynamic, low distortion, wide frequency sound that is faithful to the source without drama, exaggeration or artifice. With advanced research facilities, and the benefit of loudspeaker design graduates from two UK universities, KEF loudspeakers embody excellent engineering and engaging fatigue-free sound quality. 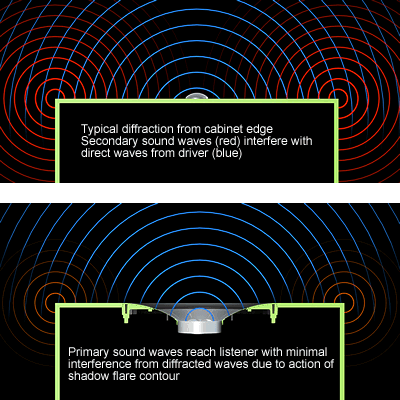 A key differentiating approach used by KEF in all multi-driver loudspeakers is locating the tweeter coaxially within a mid/bass driver rather than next to it. The first Uni-Q concentric driver was built in the late 1980s following NASA's development of neodymium based magnetic materials 10x more powerful than the existing speaker magnets. When listening to KEF speakers with Uni-Q - now 12th generation - even the novice listener can appreciate the wide, evenly distributed, sound stage and the lack of an obvious "sweet spot". Because the tweeter is located within the midrange driver, the vast majority of sound frequencies originate from one place; a "point source". This greatly enhances focus and localization within the sound stage and musicians perform on their spot in their own space making it easier to listen into how they are playing. The spatial depth benefits of a high precision low jitter DAC are very apparent. Turn a Uni-Q into a full range driver unit in a super engineered cabinet that is far beyond a wooden box, build in dual amplifiers, high resolution DAC, and sophisticated Digital Signal Processing (DSP)and you have the LS50 Wireless. The KEF LS50 Wireless is far more than a powered version of the legendary 50th anniversary LS50. KEF's DSP technology is inherently part of the DAC multi-amplifier subsystem to optimize crossover timing and provide environmental control taking into account speaker placement, room sound characteristics, listening distance etc for more effective sound optimization than old school tone controls or parametric equalization. For value and simplicity there is simply no other small speaker system currently available that compares by quite a wide margin. Especially one that streams high resolution music from on-line services such as TIDAL and Spotify®. KEF's R series was first launched in 2011 as an "almost Reference" product. For October 2018 the series has been updated with technology trickled down from Reference and LS50 with new contemporary cosmetics. Modern analysis tools and precision manufacturing have been brought to bare on more linear bass driver design resulting in reduced complexity in cross-over design and the 12th generation Uni-Q coaxial driver has significantly lower distortion. The cabinet is more rigid and slightly narrower and the "shadow flare" trim ring of the Uni-Q minimizes cabinet edge diffraction. The supplied removable magnetic grilles use a micro fiber suede-like material with radial perforations for a modern look. KEF's current line of reference speakers are hand-built in the UK to exacting standards. The brand new drivers are matched within a +/- 0.5 dB tolerance and seamlessly integrated into a very rigid front baffle, a specially engineered new material made from five layers of aluminum sandwiched in a dense composite resin. "The Reference" achieves bench mark performance by paying exhaustive attention to detail across all aspects of the design; crossover components are not just selected for frequency response, but for lowest distortion. Each set of speakers is individually measured and a frequency plot signed by the technician who built the speakers is provided. These are incredibly well-made loudspeakers and both the large floor-standing Reference 5, the stand-mounted Reference 1 and full size Blade models can be auditioned at kemela. KEF's Q series has been recently updated with new drivers, cabinet configuration and crossover elements. These speakers are the perfect balance of cosmetics, sound quality and price. While there are other companies that build their own drivers, KEF has a noteworthy history of introducing new cone materials (vacuum formed polystyrene, Mylar polyester, Bextrene) and developing better engineering that allowed much higher voice coil temperatures than in other similar-sized drivers. Many other loudpspeaker companies started life using KEF drivers into their own speaker designs, made easier with full spec "Driver Data Sheets", and the huge demand created was acknowledged with two prestigious Queen's awards for export. A BBC commission to build monitor loudspeaker accelerated KEF's own speaker building efforts. To meet the demanding standards, computers were used for rapid prototyping of crossover design and to exactly match pairs of drivers essential for stable image location in stereo reproduction. The development of these methods enabled the famous Model 104, to be a "domestic" loudspeaker that met broadcasting standards. The subsequent Model 105 was one of the first speakers to include time-aligned drivers. Raymond Cooke (1925-1995) was made OBE in 1979 and later became president of the Audio Engineering society. The enthusiasm for innovation and advanced technologies continues today. 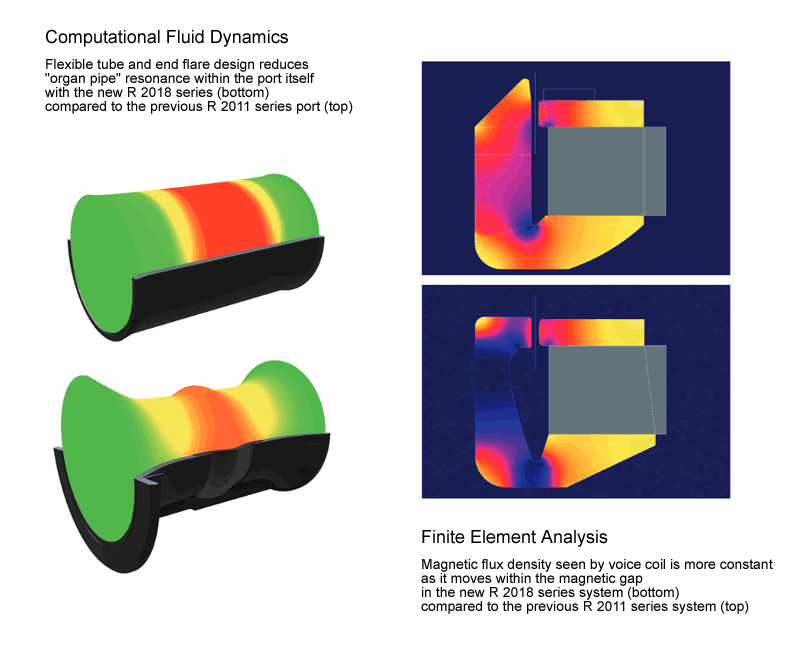 Finite Element Analysis (FEA) of the Blade-derived Uni-Q enabled cone breakup to be significantly reduced such that distortion is now less than 0.3% (250Hz-20KHz) in the new R-series models. Computational Fluid Dynamics (CFD) led to the development of the unique flexible port in the LS50 now also incorporated in the new R-series. 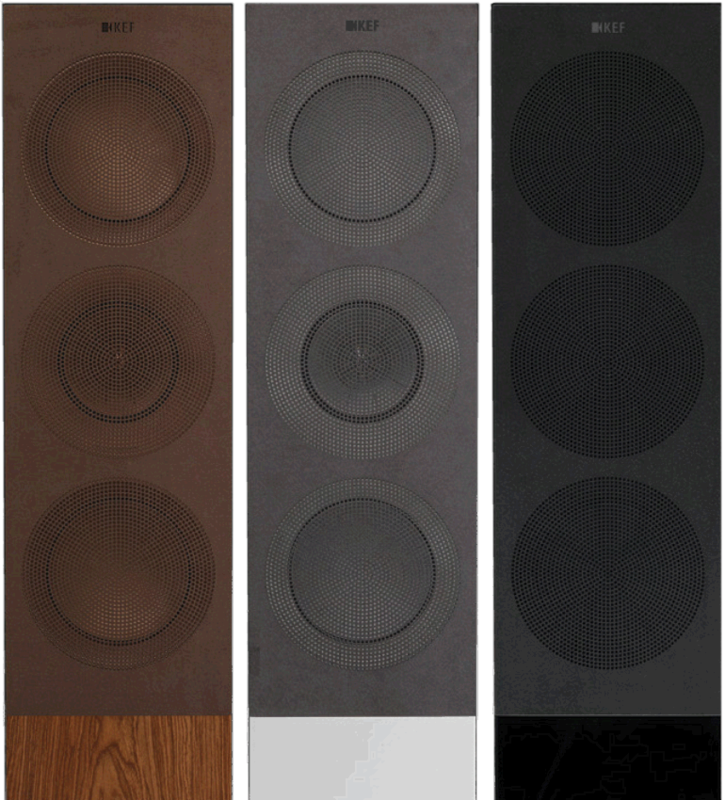 With over fifty years of experience and some extremely modern engineering and manufacturing, KEF offers outstanding performance and tremendous customer satisfaction with loudspeakers priced between approximately $500 and $32,000. Standard finishes: Deep piano black, Satin american walnut, Luxury gloss rosewood. Delivery time varies according to finish. Other original R series available at low prices while stocks last! T speakers are only 1.4" deep but create powerful home theater sound from very special drivers. May be wall, table top or stand mounted.